Digi-Shop™ is a breakthrough program designed specifically for managing cross media campaigns, mailings, and postage. 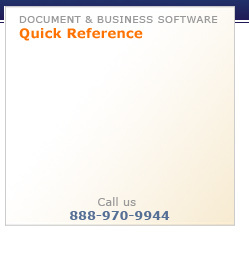 It assists those providing web-to-print, digital print, mail services, and other data-driven marketing services. With Digi-Shop™ you can quickly implement a powerful solution to create estimates, track production, account for postage, and ensure unparalleled productivity. Digi-Shop™ is an open architecture system with maximum adaptability for integrating your business needs. Moreover, this flexibility has provided our customers with the ability to reinforce and grow the most profitable areas of their companies. Digi-Shop Estimating allows you to create, update, track, and send comprehensive and professional estimates to your customers and prospects. You will be able to build an estimate with the Digi-Shop standard service pricing matrix, and then customize the estimate as needed for the customer or the specific project. A major benefit is reduced data entry – all of the information you enter in the estimate will transfer to a work order with a single click. Digi-Shop order management helps you create and track orders/jobs for your shop. The same services and wizards used to generate your estimate pricing are used to collect instructions for your work orders. Customer Service can build out work orders with instructions for specific requirements and materials for the job. Work order reports communicate all necessary information to operators, production management, and warehouse personnel. Digi-Shop Inventory Management provides you with the tools needed to effectively and efficiently manage the flow of your own and your customer’s materials in your shop. Combined with our Palm Inventory and Online Customer Service Module (OCSM), users can give their clients real-time access to inventory levels in your warehouse. Digi-Shop helps you establish and abide by workflow procedures that can eliminate many of your inventory headaches, including lost or misplaced inventory, handling leftover materials, and better utilizing your warehouse space. One of the main benefits of implementing Digi-Shop is consistent and standardized pricing. The services or tasks that your company performs for clients have base and minimum pricing attached to them, along with possible volume discount percentages. For more complex services, Digi-Shop Pricing Wizards allow you to configure series of factors to help build the price for exactly what you are doing for the customer. Digi-Shop provides the tools and details required to invoice your customers directly from the Order Management module. Once the job is complete in your shop, and has been dropped at the PO or delivered to the client, you can choose from several versions of invoice report formats for your customers. Digi-Shop provides advanced postage accounting tracking of customer postage funds as they travel through your company. You will be able to track funds received from customers and apply them directly to several different jobs, or hold them in an escrow account for future jobs. Detailed reports allow for quick analysis of customer postage account balance and status. Digi-Shop allows you to create and track purchase orders that may be for general purchases, or purchases specifically related to an existing order. When purchase orders are connected to orders, they provide valuable information used when calculating overall job profitability. They also help to take control of company and departmental purchases. Digi-Shop has been developed to easily integrate accounting information to several accounting packages. Digi-Shop will allow for the export of detailed invoice and postage receipt information to your accounting system, so that your accounting staff will not waste time entering invoices manually. Not only can this save a great amount of time, but it can also significantly reduce keypunch errors. Digi-Shop provides a valuable tool not only for simply storing customer address and contact information, but also for managing your customer and prospect relationships. The CRM Module allows users to schedule calls, emails, and appointments with customers and prospects, along with reminder pop-up windows. All activities can also be recorded so that you can track valuable customer information via historical calls, emails, and direct discussions. Digi-Shop helps you plan for and manage the flow of jobs through your shop. Jobs are visible through a variety of tools – on-screen and paper reports – providing a centralized resource for your staff. Through the use of the Digi-Shop Job Board as well as an on-screen schedule, Owners, Production Managers, CSRs, and other staff can get a quick, interactive view of summary information on jobs and tasks currently in-house. This information is vital to answering customer inquiries and making decisions on production capabilities and priorities. The Digi-Shop Scheduling Module is designed for organizations that need to optimize the production planning and scheduling functions. The Digital Print industry needs flexibility in scheduling jobs and responding to customer demands. The Digi-Shop Scheduling Module has been designed specifically for the Digital Print industry, making it easy to quickly change schedules in response to daily mailing deadlines. Digi-Shop’s Job Costing allow you to track total employee time and the time logged against a job to determine profitability. Digi-Shop also provides the ability to capture productivity rates by employee, machine, and shift to assist your organization in evaluating production staff, management, and pricing of services. Digi-Shop provides you, as the owner, with tools to analyze your revenue streams, labor costs, and profitability of customers/clients. This information can assist in you in justifying additional capital expenditures, target highly profitable clients, and discover your most productive employees. Digi-Shop Palm Inventory provides a method for extremely accurate tracking of inventory usage and movement in your warehouse. The Palm Inventory Unit complements the Digi-Shop Inventory Management System by streamlining the Inventory Tracking process. The Digi-Shop Virtual Kiosk system is a real-time means for capturing Timesheet and Job Tracking data on the production floor using a touchscreen and advanced biometrics. Virtual Kiosk allows your staff to readily clock in and out, view jobs, verify status, and log production time on jobs. The information tracked allows managers to access real-time Job-Costing data for profitability and productivity analysis. The Virtual Kiosk is a standalone touchscreen workstation that is installed on the Production Flow and connects to your Digi-Shop database. Once the server-side component is installed, Query Anything will link to your Digi-Shop SQL Server database, allowing you to navigate your data, view critical benchmarks, and make key business decisions based on up-to-the-minute information.